The Swiss Alps can be a hostile environment to humans traversing near them. Photo credit: shutterstock.com. A shrinking glacier in the Alps revealed recently the bodies of a Swiss couple who went missing 75 years ago. On August 15, 1942, Marcelin Dumoulin, a shoemaker, and his wife Francine, a teacher, had gone to tend to cattle in a meadow in the Swiss canton of Valais above Chandolin. However, from their journey they never returned. Following their disappearance, their seven children, including five sons and two daughters, were placed in different families and lost contact over the years. 79-year old Marceline Udry-Dumoulin, the youngest daughter of the couple, informed the Lausanne daily Le Matin that they had spent their whole lives looking for their parents. She also said that she never lost hope and believed that one day she would find them. According to local police, a worker from Glacier 3000, a ski-lift company, discovered the bodies in the shrinking Tsanfleuron Glacier at an altitude of 2,615 meters above the Les Diablerets resort. Male and female shoes, a part of a body ensheathed in ice, some backpacks, a glass bottle, and tin bowls were found by the employee, according to Bernhard Tschannen, Director of Glacier 3000. Over the decades, the glacier has perfectly preserved the bodies and the belongings of the couple. "The bodies were lying near each other,” Bernhard Tschannen reported to the Tribune de Geneve. The clothing on the bodies revealed that their owners lived in the period of World War II. Mr. Tschannen also said that they think the couple may have stumbled into a crevasse and that their bodies stayed there undetected for decades. Finally, the receding glacier gave up their bodies. The Valais police have generated a statement informing that a watch and a backpack has been taken for forensic analysis in Lausanne. The bodies would also be subjected to autopsy and DNA testing to confirm the couple’s identity. Udry-Dumoulin told Lausanne daily Le Matin that 75 years ago, it was the first time her mother went on such an excursion with her father as she was always pregnant and hence unable to climb the harsh terrain of a glacier. Now, as her wait is over, she feels a deep sense of calm. She says she will not wear black in the funeral of her parents. Instead, she plans to wear white as she says it represents hope, which she never lost. Since 1925, 280 people have been listed as missing on Valais’ rivers or in the Alps. According to Bettina Schrag, cantonal head of forensic medicine, similar findings will be common in the future due to the current shrinking of the glaciers. As global temperatures rise and ice recedes, corpses buried beneath the ice for decades will be revealed, say climatologists. 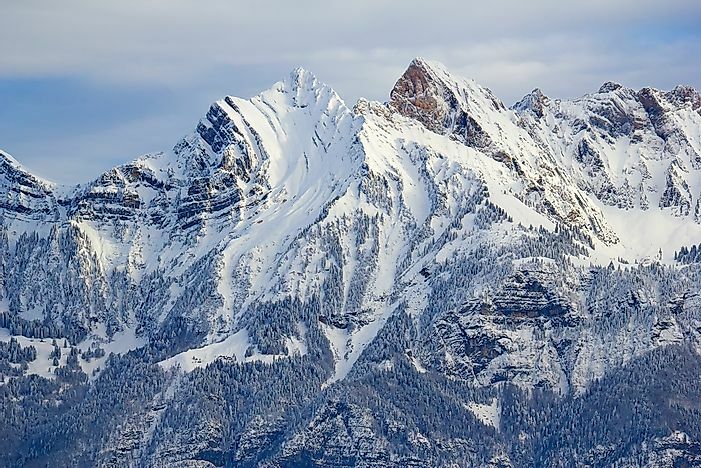 In 2015, a similar discovery was made in the Swiss Alps of the remains of two Japanese climbers who had could not be traced since 1970, police said. Last year, the bodies of David Bridges and Alex Lowe, renowned American mountaineers, were revealed in the Himalayas. The two died in a 1999 avalanche but their bodies could not be recovered till last year.